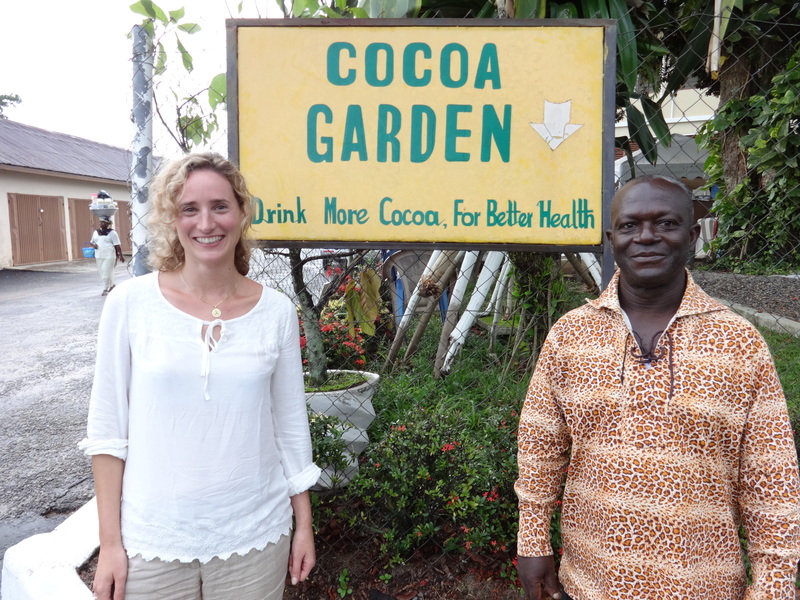 Cocoa is Ghana, Ghana is Cocoa – as the saying goes here. Ghana is the world’s second largest exporter of cocoa beans after the Ivory Coast. Historically, cocoa production has been the mainstay of the Ghanaian economy and today cocoa continues to be Ghana’s main agricultural export commodity and an important contributor to Ghana’s foreign exchange earnings and GDP. 800,000 smallholder farmers rely on cocoa as their main source of livelihood. Dutch missionaries are thought to have first introduced cocoa to Ghana in the early 19th century. However, cocoa cultivation really only became widespread after 1879, when a Ghanaian blacksmith called Tetteh Quarshie is said to have brought some amelonado cocoa pods from the island of Fernando Po, 32km off the west coast of Africa, and established the first cocoa farm in the highly fertile soil of the Eastern region, in Akwapim Mampong. 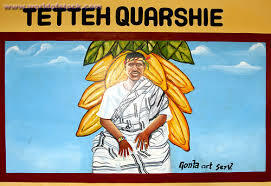 His primacy was disputed by the country’s British colonial rulers, who tried to take credit for being the pioneers of cocoa production in Ghana. But there is no documentary evidence to back their claim. Today, cocoa cultivation has spread across six regions of Ghana : Eastern, Ashanti, Brong-Ahafo, Central, Volta and the Western region. Due to fluctuating rainfall and decreasing fertility of soils, production has moved westward to the point where the Western region is now Ghana’s main producer of cocoa. Unfortunately, this westward shift has been a major cause of deforestation. Interestingly, Ghana is the only cocoa-producing country in Africa to have resisted the neo-liberalist structural reforms of the late 1980s and to have maintained a semi-liberalised marketing and pricing system. Thanks to strict quality controls, its beans trade at a premium on the international cocoa market. The Ghanaian cocoa value chain is unusual in comparison to other cocoa producing countries. The Ghanaian government is highly involved at all levels of production and export. The state-run marketing board called Cocobod controls the quality of the cocoa and manages the export of Ghana’s cocoa beans. Licensed Buying Companies, or LBCs, purchase the beans from farmers and then sell them at a regulated fixed price to Cocobod. Out of 28 registered LBCs, only two are foreign traders. 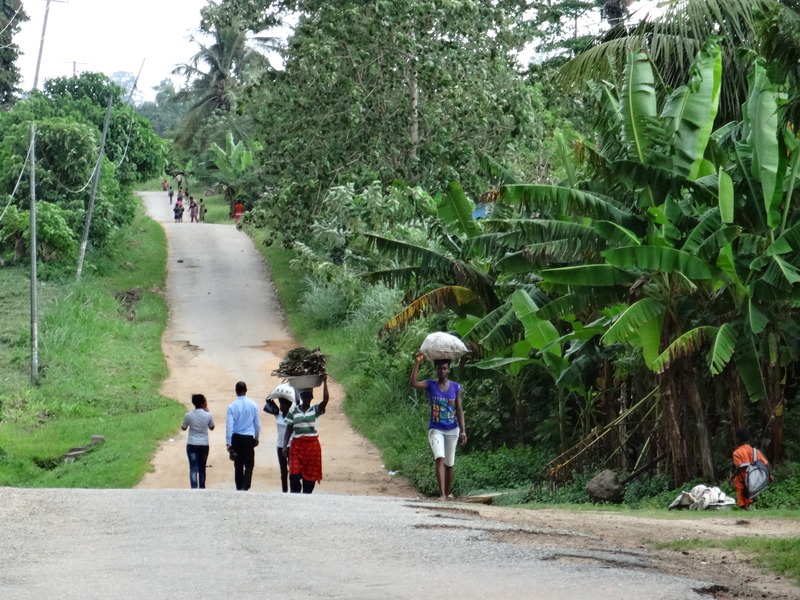 Although there are differing points of view concerning Ghana’s semi-liberalised cocoa market system, it has had some positive benefits for Ghanaian farmers. 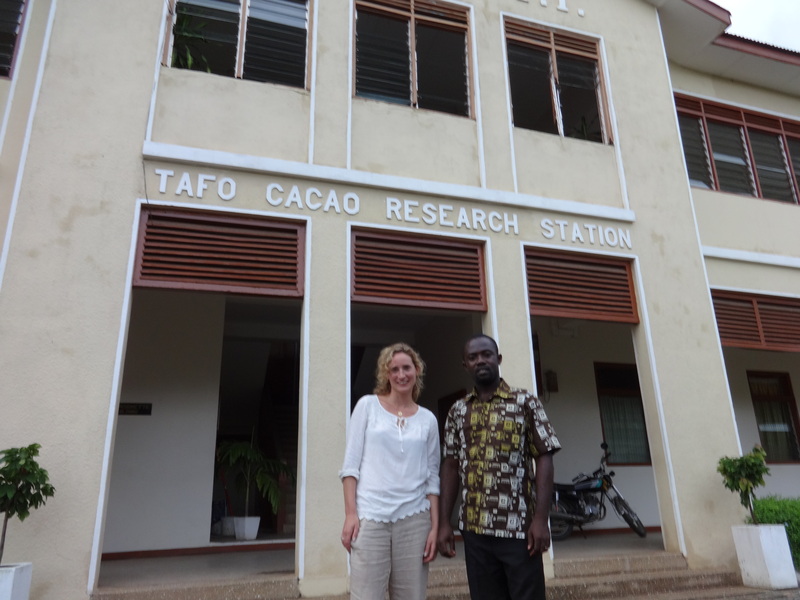 In addition to shielding them from fluctuations in market prices, it has ensured the reinvestment of profits into the Ghanaian cocoa economy, through subsidised inputs for farmers such as fertilisers and pesticides and through agricultural training and cocoa research.It is in this context that I am spending time at the Cocoa Research Institute of Ghana, of CRIG, a subsidiary of the Ghana Cocoa Board to do research for my MSc dissertation in Tropical Agriculture and International Development at Reading University. 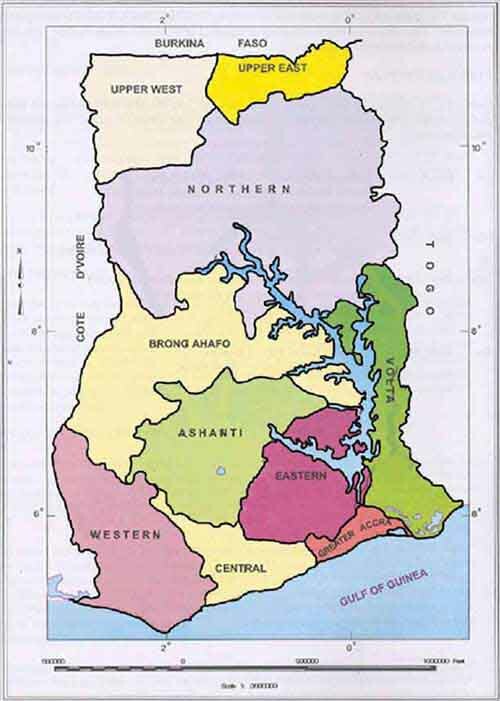 CRIG is located in Tafo, in the Eastern region of Ghana. Its establishment dates back to June 1938, during British colonial rule, as the Central Cocoa Research Station of the Gold Coast Department of Agriculture.Outbreaks of pests and diseases had led to a serious decline in cocoa production, and the station was set up at the recommendation of the Agricultural Adviser to the British Minister of State for the Colonies, Sir Frank Stockdale, to investigate the problems and introduce control measures. 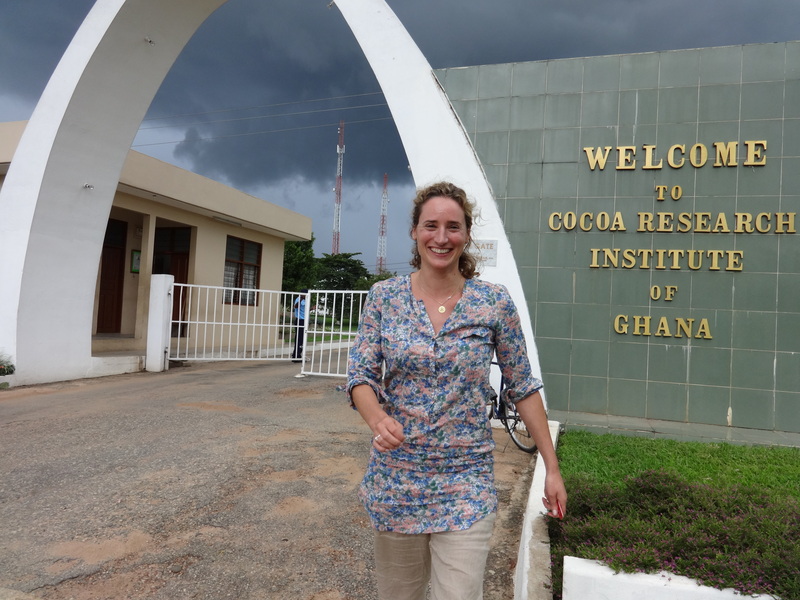 Today, CRIG is Ghana’s main cocoa research centre, undertaking important research on cocoa genetics, pests and diseases and promoting technical innovations to improve farmers’ agricultural practices and yields. From a base at CRIG, I will be conducting research on the role and impact of sustainability standards in the Ghanaian cocoa value chain and how these are communicated to cocoa farmers. In an environment of growing demand in consumer countries for fair and sustainable cocoa production, manufacturers and processors are increasingly committing to 100% sustainable supply sourcing. This, in turn, is leading to a growing number of intervention schemes at farmer level. For my dissertation research , I will be looking at intervention programmles led by private companies and certification schemes, in order to understand how these schemes reach out to farmers and what impact they are having at farmer level. What a great project. I can almost smell the chocolate right now! Interesting read, Best of luck with the ongoing research!